Hong Kong – Twelve leading associations from the content industry and online services industry today signed a Letter of Intent committing them to work together to combat online content theft using through the use of technical measures. The Symposium is the fourth annual gathering of stakeholders involved in providing online services and content and focused this year on “Community, Content Protection and Co-operation”, discussing online user behaviour, technology developments, and cooperative technological measures for online content protection. A 2010 report on The Economic Contribution of the Hong Kong Film and Television Industry commissioned by the IFACT-GC confirmed that in 2008 the industries employed more than 32,000 people helping contribute HK$33 billion in gross output and an additional HK$6 billion value-add to Hong Kong’s economy. The report is the first of its kind to comprehensively measuring the direct, indirect and induced economic impacts made by one of Hong Kong‘s major creative industries – the film and television industry – and underscores the importance of protecting the creative industry’s IPR content generated from online theft. “By encouraging consumers and users to use and engage with legitimate digital content platforms this alliance will help ensure that the content creators rather than criminals enjoy the benefits of the hard work, creativity and financial risk that goes into all successful content,” said Clera Chu, Vice Chairman of the HKVDF. About the DotAsia: The DotAsia Organisation (DotAsia) is the Sponsoring Organisation and Registry Operator for the .Asia Sponsored Generic Top Level Domain. DotAsia is a not-for-profit, community-based organisation incorporated in Hong Kong. Asia has developed into a global force in the international commercial, political and cultural network and the .Asia domain aspires to embrace this dynamism in the Asia Century to become a nucleus, intersection and breeding ground for Internet activity and development in the region. To learn more about DotAsia, please visit: http://www.registry.asia. About the HKISPA: The Hong Kong Internet Service Providers Association (HKISPA) was formed in 1989 and has as its membership the majority of ISPs in Hong Kong. The mission of the HKISPA includes: acting as a discussion forum on Internet related matters, the promotion of Internet development in Hong Kong, the promotion of fair competition and codes of practice, and working with government agencies and the public on Internet related issues. More information can be obtained at www.hkispa.org.hk. About the MPIA: The Hong Kong Motion Picture Industry Association (MPIA) was established in July 1986, to promote and protect the rights and interests of the Hong Kong motion picture industry by aggressively combating intellectual property right infringements, representing members’ view on matters of interest to the industry, and representing members in their dealings with the Hong Kong SAR Government and government authorities in other countries. About the HKTA: The Hong Kong Theatres Association Limited (HKTA) was established in 1950 to represent Hong Kong movie theatre owners. The Association’s primary objectives are to lobby the Government on matters such as film classification, copyright, fire safety and venue licensing, to formulate industry rules and to otherwise advance its members interests. In 2006, the Association launched the “International Box Office Essentials”, an on-line system providing real-time Hong Kong box office data, film analysis reports and information on international reported grosses from over 35 countries worldwide. About the HKVDF: The Hong Kong Video Development Foundation Limited (HKVDF) is a non-profit organization aimed at promoting the Hong Kong video industry. It was formed in March 2003 with 10 video distribution companies as members. With the video industry maturing, products and formats becoming more diversified and new business opportunities opening up, the Foundation plays a role as a network and contact point for industry members. Through positive action and input, the Foundation seeks to nurture a sustainable and profitable business environment and strengthen the interest and dedication of its members and other players in the industry, developing video entertainment to new heights. About the IFACT-GC: The International Federation Against Copyright Theft – Greater China (IFACT-GC) was established in 2006 by the Motion Picture Association to protect the film industry in the Greater China region from the adverse impact of copyright theft. In 2008, the film and TV industry in Hong Kong contributed HK$33 billion and generated a total of HK$6 billion value-add to the local economy creating more than 32,000 jobs in 1,170 businesses. IFACT-GC works closely with its supporters, government and enforcement authorities to protect the Greater China film and television industry, retailers and movie fans. For more information about the IFACT-GC, please visit www.ifact-gc.org. About the IFOCAT: The International Federation of Creativity and Technology (IFOCAT) was established in May 2010 is a non-profit organization composed of the elites from IT, education, legal, music, movie, animation, comic, design, manufacturer and enterprise industries. IFOCAT provides a legally protected exchange platform for innovation through participation, interaction, observation and education, to unite the elites and related enterprises from the creative and technological industries around the world to develop creative opportunities for the next generation. For more information about the IFOCAT, please visit www.ifocat.org. About the IIPPC: The International Intellectual Property Protection Centre (IIPPC) was established in October 2001 to provide a comprehensive range of services to protect the interests of audio-visual media rights owners by acting as the rights owners’ authorized representative and working closely with interested stakeholders including chambers of commerce, rights owners associations and law enforcement agencies. The IIPPC is committed to maximizing synergy, effectiveness and value for money in detecting and fighting piracy and counterfeiting activities by ensuring effective enforcement action against infringers. IIPIA’s focus is on fast, effective investigations by proactively encouraging the exchange of tactical and strategic intelligence amongst all stakeholders, reducing costs and maximizing synergy by encouraging cooperative investigations, and minimizing the time required for the investigation and prosecution process. About the MPDA: The Movie Producers and Distributors Association of Hong Kong Limited (MPDA) was founded in 1979 as a non-profit making association and has members in over 95% of Hong Kong SAR and mainland China motion picture and audio visual companies. The major professional services provided include representing members’ interests and concerns, assisting members protect their intellectual property rights particularly against the copyright infringement, and issuing certificates of copyright ownership and distribution rights to members. About the ISOC-HK: The Internet Society Hong Kong (ISOC-HK) is the local chapter organization of the Internet Society (ISOC), a professional membership society with over 20,000 individual members in over 180 countries, providing leadership in all issues confronting the current and future Internet. ISOC-HK was formed in 2005 by local veteran Internet professionals with the mission of improving the practice of Internet governance and online civil society in Hong Kong. About the OSPA: The Online Service Providers Alliance (OSPA) is a platform to bring together policy makers, professionals from related fields, and stakeholders from the community, to advise on and promote methods for achieving the goal of providing better online services to society. OSPA is also active in setting up mechanism for OSPs to combat Internet problems including defamation, copyright infringement, and inappropriate and illegal content provided by third parties while balancing the need to ensure freedom of expression and the development of Internet services in Hong Kong. OSPA was formed in 2010 by the Internet Professional Association (iProA) and ten founding member web sites, major trading websites: Baby-Kingdom.com, FoodEasy.com, HKGolden.com, Qooza.hk, sina.com.hk, TradeDuck.com, Travellife.org, 28hse.com, 28phone.com and the Hong Kong operation of the international trading web site eBay.com.hk. About the Sun Network: The Sun Network (Hong Kong) Limited (Sun Network), an Information Technology services company, was established in 2006. It focuses on providing a premium network to help its customers grow their businesses. By servicing global clients’ data, the Sun Network delivers product choices, expert services and superior support. The Sun Network has applied innovative solutions to improve efficiency, and maximize performance to increase enterprise agility and proactively addresses its customers’ needs. 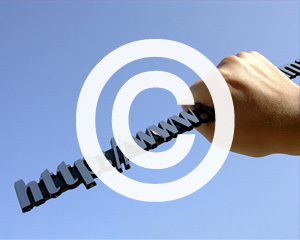 In order to provide a healthy platform for legitimate online businesses and strengthen copyright protection in the digital environment, Sun network is committed to work closely with content providers and to fight against online content theft. For more information about the Sun Network, please visit www.sun.net.hk.